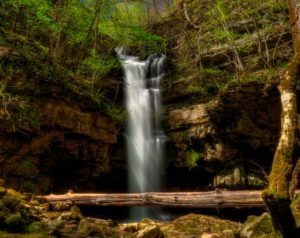 Imagine a waterfall with no incoming stream or outgoing stream; you have just imagined Virgin Falls. The water comes out of cave, plunges 110 feet over a cliff and immediately disappears into the ground. As odd as that anomaly is, there are five such occurrences in a four-mile stretch along this edge of the Cumberland Plateau. Be sure to read the trail description before setting out on the hike, it is a rigorous trek – – and well worth it. Big Laurel Falls is the first waterfall that you encounter along the Virgin Falls Trail. Big Laurel Creek plummets over the edge of a cliff and the water goes underground from that point. 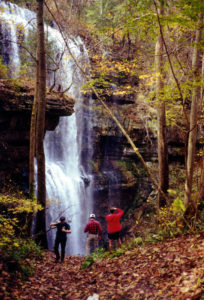 The hikers standing behind the falls in the picture demonstrates the huge cave entrance in which the stream disappears. An area so lush, this is where Disney came to do the remake of “The Jungle Book.” This is yet another waterfall with no incoming stream or outgoing stream. 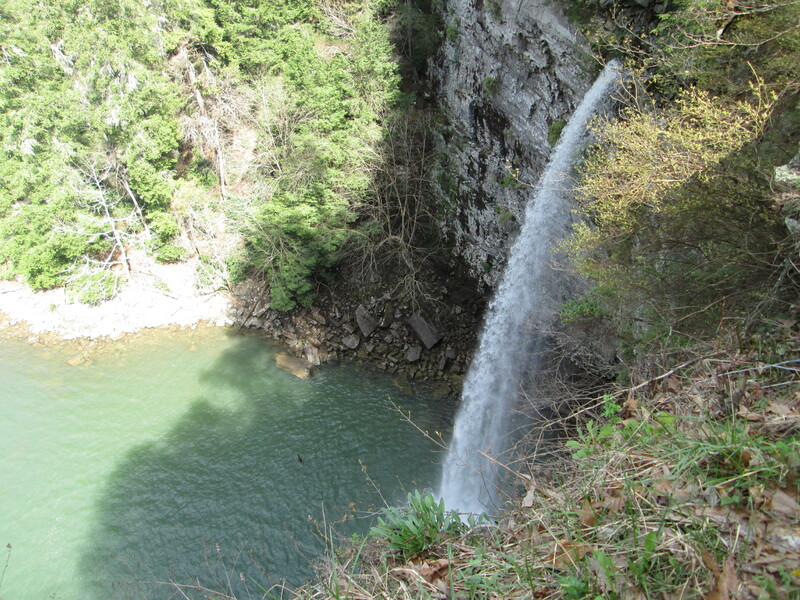 Lost Creek Falls is located in the edge of a giant sinkhole. The crystal clear pool at it’s base is worth the trip to see even if there were no waterfalls. But wait, there’s more! 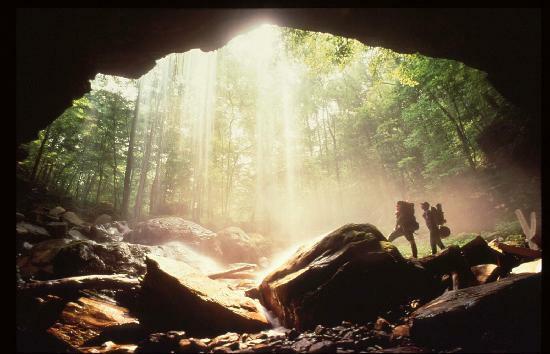 The cave on the opposite side of the sink is one of the larger cave entrances in the state of Tennessee. The cave was also used in Disney’s movie. The parking area was created by the film crew to get their equipment close to the site. 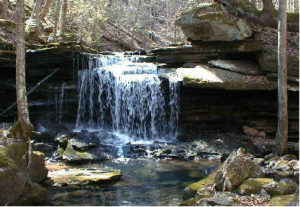 Rylander Cascades is named for James Rylander, the benefactor who gave the state the Lost Creek area. The cascade is across the road from Lost Creek falls and up a short, easy trail. 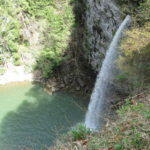 The cascade is the result of a fault line. Once an underground stream, the crust of the earth split and dropped several feet exposing the water and creating another waterfall with no incoming stream or outgoing stream. There are multiple cascades as you walk the trail. It is best to park in the Lost Creek parking area. Walk about 600′ south on White’s Cave Road and you will see the trail head exit to the east. 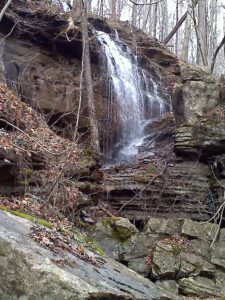 There are three waterfalls in close proximity along the Polly’s Branch Trail in The Bridgestone Centennial Wilderness Area. Though not as large as many of our waterfalls, much is to be said about the serenity of the location of these three falls. Polly’s Branch has both an upper and lower waterfalls, and Jenny Falls; any one of the trio makes this light trek worth the trip. Polly’s Branch lies in a wildlife management area as is closed during hunting season. See TWRA’s website for details. 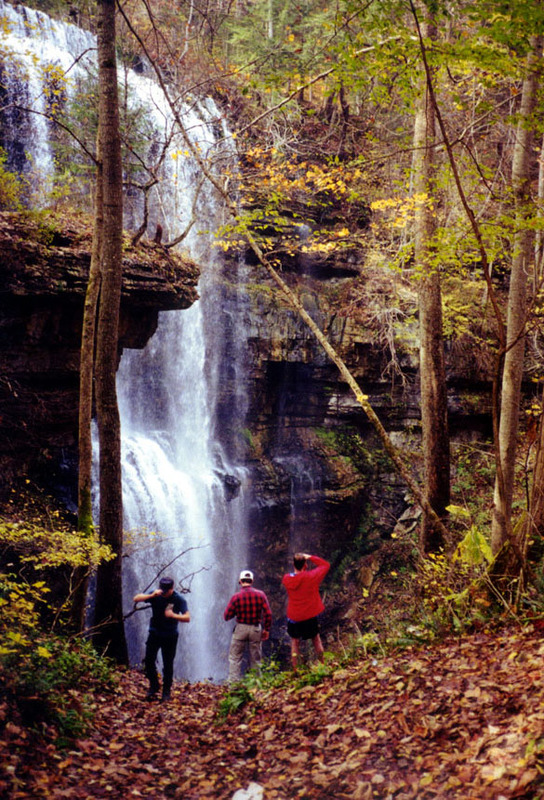 Wildcat Falls is one of White Counties two drive-by waterfalls. You can enjoy this waterfall without leaving the car. Though during summer, the volume of water may narrow to a trickle, where this creek exits the top of the Cumberland Plateau over a concave bluff line is much to behold even during dry periods. One of the most spectacular waterfalls that we have to offer is the second of our waterfalls that can be viewed from an automobile. 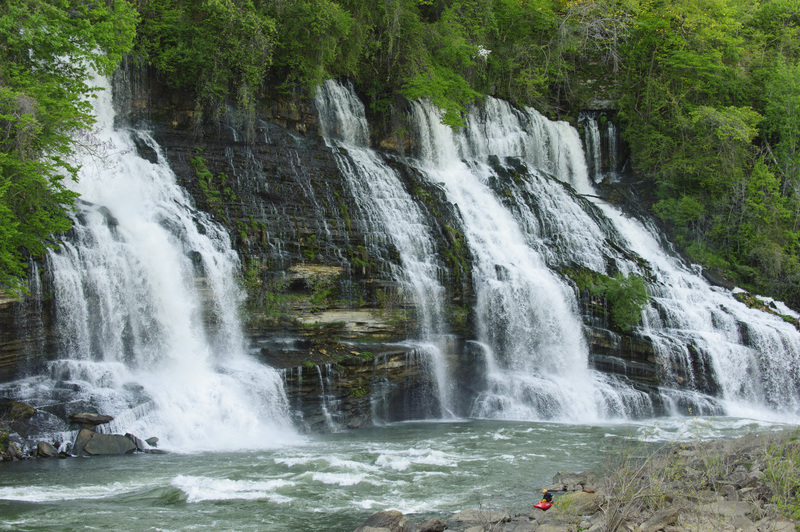 While enjoying the beauty of this falls, keep in mind that it is sort-of man-made. 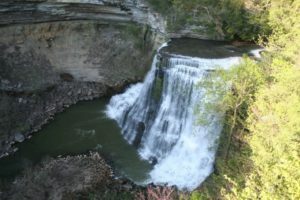 When the Corp of Engineers erected the dam (upstream) to build Rock Island Lake, it backed up water on both the Collins and Caney Fork rivers. Before the lake reached pool-level, water found it’s way through caves off the Collins River and exited the mountainside downstream into the Caney Fork River gorge. This falls is also worth a trip on moonlit nights. The sloping face of the falls makes for a white froth that reflects moonlight well. 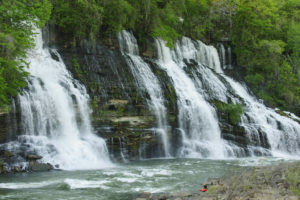 Though not the tallest waterfalls in our area, Burgess Falls may be the widest falls with the most consistent and large volume of water. Much like Niagara Falls separates the US from Canada, both White and Putnam counties share claim to this beautiful cascade. Supplied by the Falling Water River, water volume rarely wanes and there are many visitor amenities in this small state park. 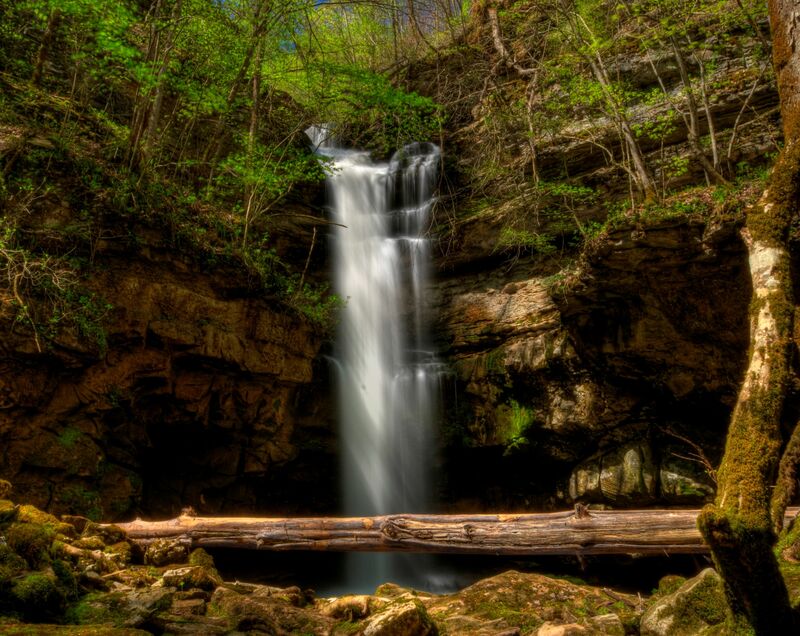 Often described as the tallest waterfall east of the Rocky Mountains, this spectacular feature is the namesake for Tennessee’s most-visited state park. Plunging more than 250′, this falls and canyon has been the backdrop in numerous movies. 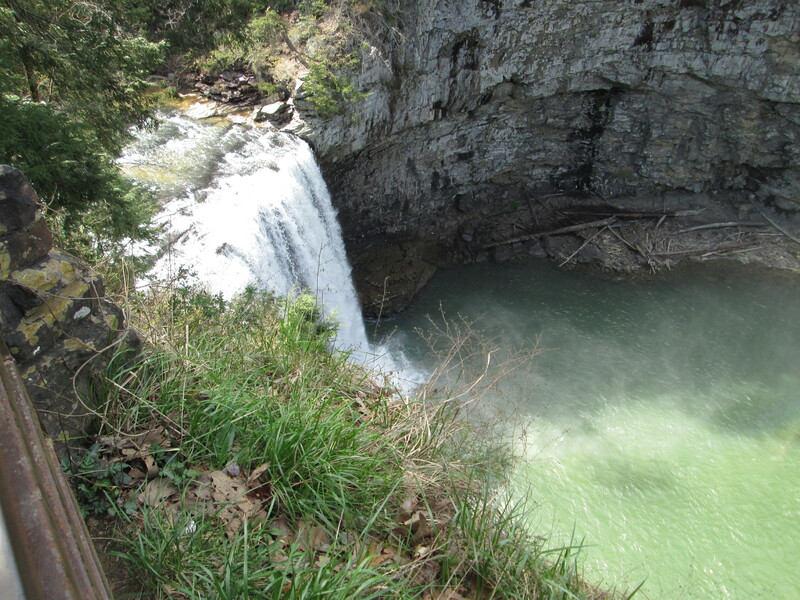 The main overlook for the falls is a short walk from ample parking. 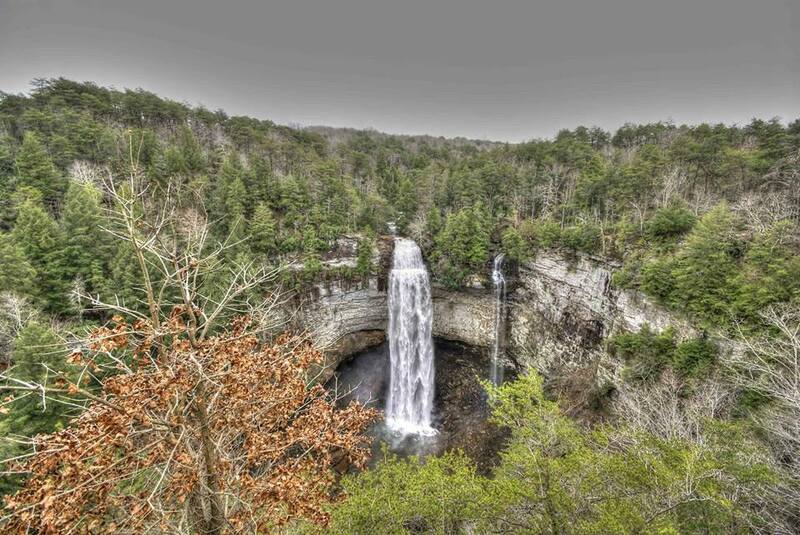 Cane Creek Falls is another example that the beauty of a waterfall is based on more than height. 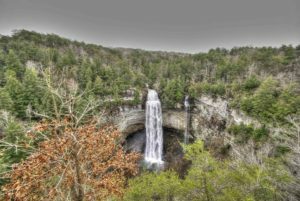 Cane Creek Falls is located in Fall Creek Falls State Park. The dimensions of height, width and water volume make this waterfall a great attraction. Not to mention the fact that it is less than 500′ from the parking area. Has an excellent nature center to tour while there, and the kids will love the swinging bridge and swimming hole at this location. There are too many waterfalls to mention. Some are on private property; please respect landowners. 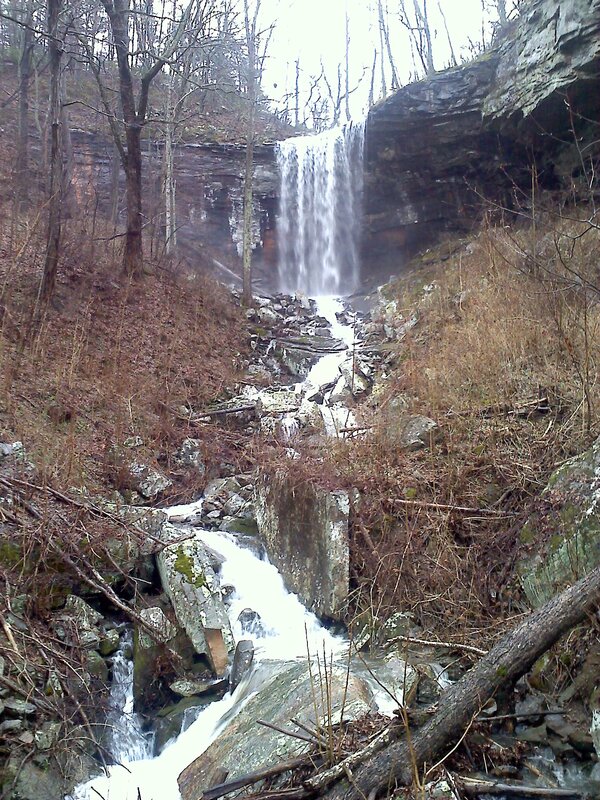 Here is a list of more waterfalls in the Sparta / White County area. For more information on waterfalls in Tennessee see: TennesseeLandForms.com.